A brain injury is a disturbance of normal brain function and may result from a variety of different forces, including blunt trauma or whiplash. The severity of brain injury can range from a mild concussion, symptomatic of headaches and fatigue, to a traumatic brain injury (TBI) resulting in mood disorders and personality changes. Not all brain injuries require extended periods of unconsciousness or amnesia. People suffering from TBI often have to be hospitalized and attend rehabilitation therapy. 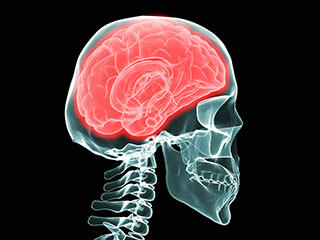 However, in many cases, individuals suffering from a brain injury go undiagnosed and treatment is not recommended. Experienced counsel can detect the signs and symptoms and assist in locating early rehabilitation. At Motorcycle Lawyer, we can help asses available options that can keep medical bills from piling up. Additionally, our team has fostered close relationships with medical professionals who can support us if our clients’ cases require it. Always keep in mind that the best way to prevent a brain injury from a motorcycle accident is by wearing a helmet, as mandated by B.C. law.